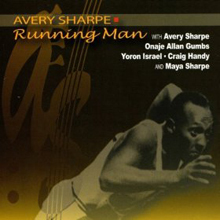 Over the last three decades bassist Avery Sharpe has been a stalwart sideman to some of the biggest names in jazz. 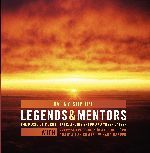 Legends and Mentors is an homage to three of his closest colleagues, pianist McCoy Tyner and saxophonists Archie Shepp and Yusef Lateef. 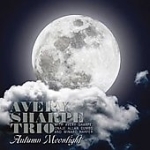 As McCoy Tyner's principle bassist for the past 20 years, Sharpe has appeared on over twenty records with the pianist. Recording extensively with Yusef Lateef in the 1990s, he made his recording debut with Archie Shepp in 1979 on Attica Blues Big Band (Impulse!). Seminal veterans of the 1960s New Thing, the dedicatees share a similar aesthetic sensibility in their work, each embodying varying degrees of spirituality, Afro-Latin elements and the avant-garde. 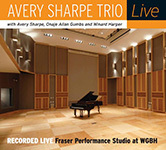 Sharpe assembled a nimble quintet with longstanding ties for this project. Violinist John Blake and saxophonist Joe Ford both served alongside the leader in Tyner's groups, while pianist Onaje Allan Gumbs and drummer Winard Harper are regular members of Sharpe's trio. Dividing the nine track album into thirds, Sharpe presents an original composition dedicated to each honoree and two signature covers culled from their respective discographies. Driven by a hip bass ostinato, "Big Mac" opens the album on a joyous note, employing subtle re-arrangements of Tyner-esque harmonies and intervals. The understated Bossa Nova of Tyner's romantic "Ballad For Aisha," spotlights a quietly intense solo from the leader. A rousing Latin anthem, "Fly With The Wind" elicits soaring statements from Blake and Ford, fueled by a sparkling rhythm section. Dedicated to Shepp, "The Chief (Bro. Shepp)" saunters along majestically, simmering with an undercurrent of energy that climaxes with Sharpe's fret slapping bass solo. 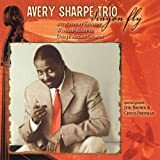 Shepp's classic jazz waltz "Steam," is given a gorgeous reading by Ford on soprano, while the visceral "Ujamma" is delivered at a blistering pace, pushed into the red by Harper's explosive drumming. Ending the album with an exotic Afro-spiritual patina, "Gentle Giant (Bro. Lateef)" unveils a haunting meditation in 6/4 based on a 5 note Rwandan pygmy scale, featuring Ford's ghostly flute. Lateef's "Morning" offers a jaunty percussive respite before the closing frenzy of "Because They Love Me," a riotous testimonial unfurling with fervent declarations from all. Sharpe does his teachers proud on Legends and Mentors. Reworking some of the most influential jazz compositions of the Post-War years with subtle invention, he proves that contemporary musicians needn't ignore the past to make inroads for the future. Track Listing: Mac; Ballad For Aisha; Fly With The Wind; The Chief (Bro. Shepp); Steam; Ujamma; Gentle Giant (Bro. Lateef); Morning; Because They Love Me. Personnel: Avery Sharpe: acoustic bass; John Blake: violin; Joe Ford: alto and soprano saxophone, flute; Onaje Allan Gumbs: piano; Winard Harper: drums.